Successful first guided firing of the long-range Meteor missile from Rafale. 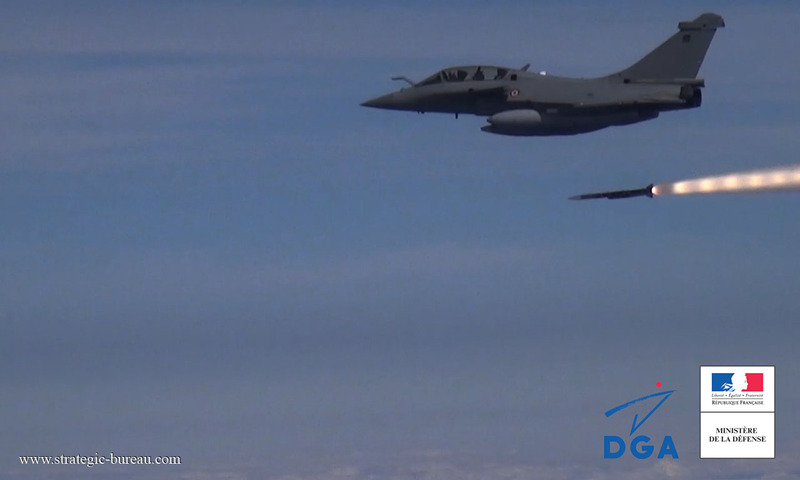 On 28th April 2015, the French MoD, Dassault Aviation and MBDA carried out the first guided firing of the long-range Meteor missile against an air target from a Rafale combat aircraft. The firing, from a Rafale prepared at the DGA’s Cazaux Flight Test Centre, proceeded successfully within the secured zone of the DGA Essais de Missiles in Biscarrosse, near Bordeaux. Following on from earlier missile separation trials carried out in 2013 and 2014, this firing represents an important milestone in the integration of Meteor missile onto the Rafale in line with the development of the aircraft in its next F3-R standard. With a throttleable ramjet motor and « fire and forget » firing mode, Meteor missile is intended for very long BVR, Beyond Visual Range, air defence operations. Thanks to the performance of the RBE2 AESA, Active Electronically Scanned Array, radar wich equips the Rafale, it is able to intercept targets at very long range thereby complementing the currently deployed MICA missile used for combat and self defence. The first Meteor missiles will be delivered as of 2018 to equip the Rafales of the French Air Force and Navy.